Meet two of our Youth Advisory Committee members, Morgan Sizemore and Chase Sizemore. Morgan and Chase first became aware of the need to help disadvantaged and underprivileged children and girls at risk for human trafficking in developing countries when their father showed them pictures of a well that he donated in Takeo Province, Cambodia, for villagers whose previous source of drinking water had been from a nearby muddy river. One picture in particular stood out among others. That picture depicted images of a three generation family huddled together with young children splashing about in a clean well water. Upon viewing these images of a very different world than they knew, Morgan and Chase began to realize their obligations to do their share to help repair the world, not because of generosity or magnanimous deeds, but simply as acts of justice and righteousness, the performance of every person’s duty. Morgan and Chase decided to make a difference in the lives of disadvantaged and underprivileged children, and girls at risk of human trafficking. In December 2006, with the help of their family, they co-chartered the Teach Them To Fish Foundation, Inc., a §501(c)(3) international economic development public charity, whose mission is to do its share to alleviate the unimaginable human suffering caused by extreme poverty and hunger in developing countries, by building primary schools for children in rural Cambodia and Uganda where over 75% of the population lives on less than $2 a day and children do not have schools to attend. Today, Morgan and Chase continue to volunteer for the Teach Them To Fish Foundation as Board of Directors and Youth Advisory Committee members. Among other things, they organize and plan fundraisers to raise money for our primary schools for disadvantaged and underprivileged children, and girls at risk for human trafficking in rural Cambodia and Uganda. They have participated in numerous overseas humanitarian missions including, but without limitation, traveling to our primary school in Battambang Province, Cambodia, in 2014, to purchase and distribute emergency food, clothing, shoes, and school supplies for students and refugees that fled Thailand during the May 2014 Thai Military Coup and traveling to Siem Reap Province, Cambodia, in 2015, to inspect two prospective sites (Omaneash Primary School in Siem Reap Province and O’Russey Primary School in Oddar Meanchey Province) to build new primary schools, where they also purchased and distributed food for daily breakfasts, clothing, shoes and school supplies for more than 500 children. (Depicted on this page are pictures of Morgan and Chase, as young children, on a humanitarian mission in 2010, purchasing non-perishable food items at local markets and boxing relief packages for distribution to bombing victims in Israel. We chose to publish these pictures to show that young students, regardless of age, can help underprivileged children whether locally at home or abroad. Morgan and Chase also raise money for our Save The Children program that provides emergency humanitarian aid and temporary schools for children displaced by disasters such as the Earthquake in Haiti, famine in Cambodia, bombings in Israel, Typhoon Haiyan in the Philippines, and the earthquake in Nepal. They co-created our “Shoes for Africa” program and raised money to buy shoes for 2,500 children in Uganda. They have worked at all of our annual fundraising social events, workshops, and open discussions. Morgan and Chase manage our Facebook page and keep our more than 127,000+ supporters up-to-date on our current events and calls to visit our donate page. 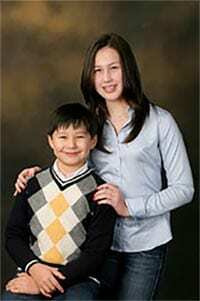 Additionally, Morgan and Chase are our foundation’s spokespersons. They advocate for the foundation on our public service announcements aired on national TV including the 2014 Winter Olympics with a renowned Olympic figure ice skater. Chase is a freshman at Columbia University in New York City. 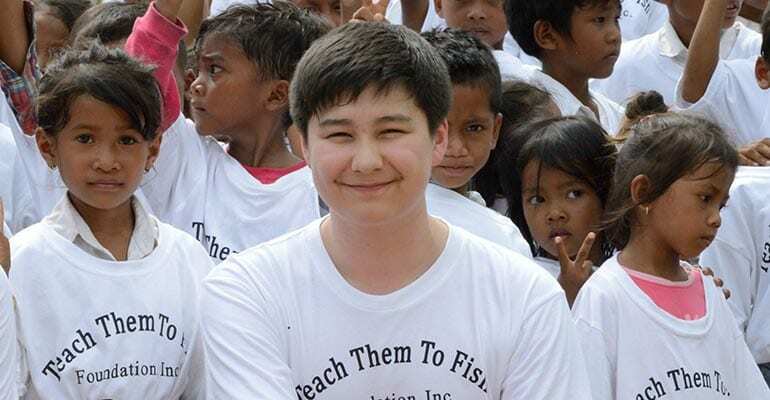 Among his numerous international and national humanitarian awards that he has received over the past years, Chase received the prestigious President’s Volunteer Service Award (Gold) in 2015, 2016, 2017, and 2018. He has received three Gold Medals authorized by the King of Cambodia and issued by the Cambodian Ministry of Education and the local provincial governors. 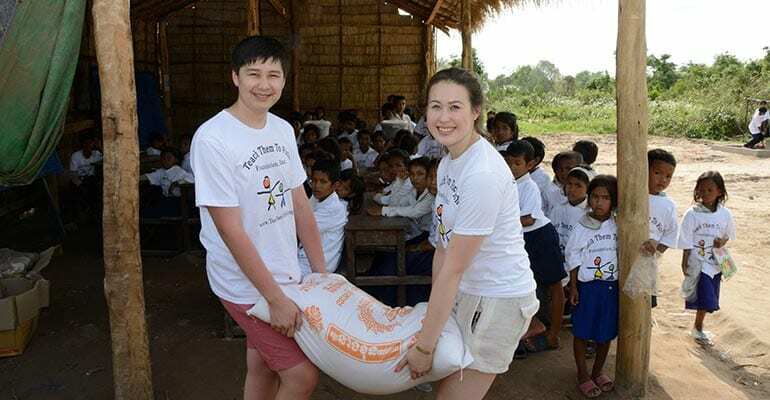 Chase is currently overseeing the foundation’s construction of O’Russey Primary School in a remote village in the jungles of Oddar Meanchey Province, Cambodia — a major task for an eighteen year old with a heavy course load at school at Columbia. Chase says: “It hasn’t been easy continuing my humanitarian work while attending college at the same time. I have to remain focused. I have to manage my time well. But, my sacrifices are nothing compared to the daily sufferings the disadvantaged and impoverished children and girls at risk for human trafficking rural Cambodia and Uganda endure. Their struggles should serve as an inspiration for all of us to reach out and to help other whether locally, nationally, or globally. I only wish I had more time so that I could do more for them. It really makes me feel good inside to help our children.” Chase, like his sister, aspires to attend an top-tier graduate university. He, too, wants to become a humanitarian, like Dr. Schweitzer. Currently, Morgan and Chase are co-authoring the foundation’s first in a series of books, The Road To Kitgum, a Journey to Save Children. The Road To Kitgum chronicles the foundation’s journey from its inception in 2006 to building its first primary school in Battambang Province, Cambodia, to finding the parents of three young boy who stepped on an American War era landmine and died in Quang-Tri Province, Viet Nam, to the foundation’s building its first two primary schools deep in the bush on the East African Plateau in rural Uganda, and concludes with an electrifying once in a lifetime encounter when a student passed his desperate mother’s note to their father and ignited an unimaginable chain of events that drew him into the perilous domain of the Lord’s Resistance Army. Morgan and Chase are also authoring The Greatest of All Times, Making a Difference through Community Service. 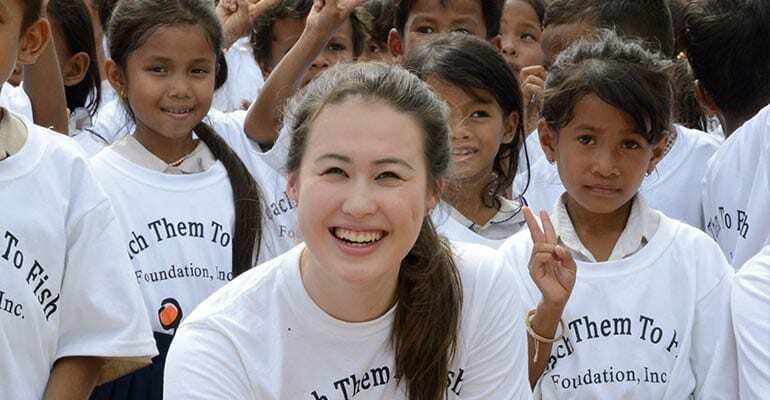 To learn more about our Youth Advisory Board and how you can volunteer and help change the lives of thousands of orphaned and impoverished children in rural Cambodia and Uganda while enabling girls to attend school for the first time in their lives, and impact future generations to come, read our Get Involved page and email us at info@TeachThemToFish.org.